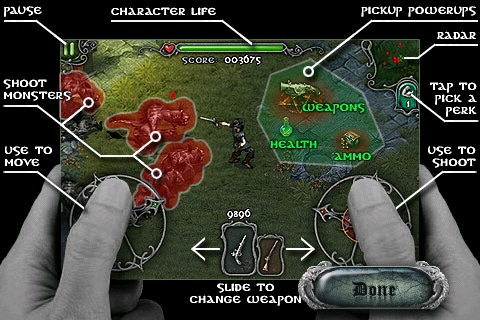 MoreGames’ iDracula has finally made it into the App Store this morning for its introductory price of $0.99 [App Store]. 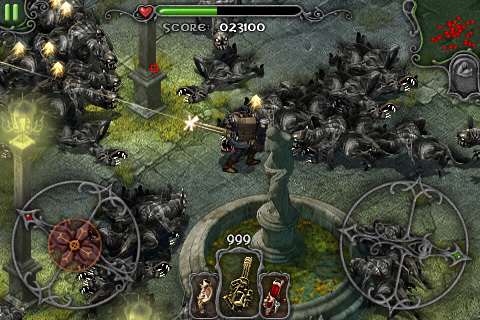 The game is described as an “intense" survival shooter in which you must battle hordes of Vampires, Werewolves, Witches and Dracula himself. Early opinions on the game have been very positive. The game carries some wonderful artwork and feels quite polished. If you’re looking for an action shooter, we don’t think you’ll be disappointed for $0.99. In the app description, the developer promises two new levels, new creatures, a new weapon and new game mode in an upcoming update. The regular price is said to be $2.99.